College Savings 101: Which plan is right for you? | Meld Financial, Inc.
College Savings 101: Which plan is right for you? How do you create a strategy that maximizes your college savings? Those of us with children encounter this question almost as frequently as we hear about the need to save for retirement. But just like with retirement, the various college savings options can be overwhelming. There are a lot of plans available, each with their own set of pros and cons. So how do you create a strategy that maximizes your college savings? How do you choose the right college savings plan for your situation? That question lies at the heart of Situational Investing, our proprietary investing methodology at Meld. This approach considers the unique characteristics and situation of each individual investor and designs an investment strategy that best suits the individual’s needs. It’s how we help clients plan their finances and determine the best college savings plan for their families. At minimum, you should do your homework by learning the various college savings options and seek the assistance of a CERTIFIED FINANCIAL PLANNER™ before you make the decision. A CFP® can help you understand the pros and cons of each college savings plan and strategy. 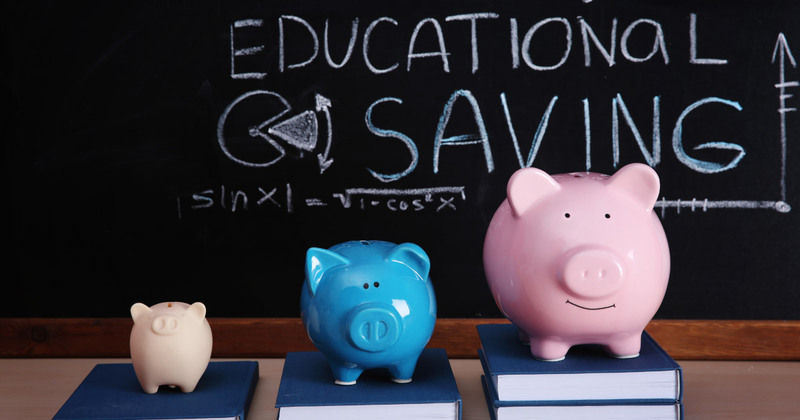 To get you started on the right path, let’s explore the various college savings plans. What are my options when it comes to college savings? The one you’ve probably heard the most about is the 529 Plan. It’s often touted as the best way to save for college, but it’s also one of the most underutilized. It draws its name from a section of the tax code, and the tax benefits are among one of the biggest upsides of this particular option. Any funds from the 529 that are used on qualified higher education expense and up to $10,000 per year in K-12 tuition aren’t subject to federal taxes. This means you can even get a tax break on your child’s private school tuition. Also, check with your state because 529 plans can sometimes offer additional state tax benefits. These plans can allow you to contribute more than $500,000 over the life of the account, and leftover funds can be transferred to benefit another family member. Perhaps most important on the list of pros is the fact that 529 plans owned by a dependent student won’t impact the student’s eligibility for financial aid. Investments in those plans are treated as parent assets and don’t have to be reported on the FAFSA form. The plan does have a few drawbacks. First, earnings are subject to income tax if they are withdrawn for non-educational purposes. Second, you will have to pay a 10 percent penalty on withdrawals that aren’t spent on qualified education expenses. Finally, your investment strategy is limited to what’s offered in the particular plan you’ve chosen. There are many factors to consider when investing in a 529 plan, so be sure to seek the assistance of a CFP® to aid you in understanding your complete financial picture. What about the Educational IRA? Also known as a Coverdell Education Savings Account (or ESA), this is pretty much exactly what it sounds like: an individual retirement account for someone under the age of 18, only the funds are earmarked for educational expenses rather than retirement. Withdrawals from these accounts that go toward those qualified expenses are tax-free. While the investment options with the 529 plan are somewhat limited, the Educational IRA offers a broad range of them — plus the ability to self-direct your investments on your own or through your investment manager. Leftover funds in these accounts can also be transferred to benefit other family members. As for financial aid, students with an Educational IRA also don’t get dinged on the FAFSA as the account is also deemed a parent asset. There are, however, important limits to understand with this option. For one, it’s not available to everyone. Your income must fall below a certain level to be able to make the maximum annual contributions, which is maxed out at $2,000 per beneficiary per year. And whatever funds you’re able to accrue must be used before the beneficiary turns 30. Again, always seek the help of a financial planning professional before you begin investing. What about Uniform Gift to Minors Act accounts? These accounts — known as UGMA or UTMA accounts — are really just custodial accounts. They hold and protect money for minors until they hit the age of 18, and they offer a great deal of flexibility. The money can be spent on anything, as long as it benefits the minor, and there are no investment limits. There are tax advantages to these accounts, however, some disadvantages must be considered. Earnings on these accounts are subject to taxes, although not at the parents’ rate. In some cases, this can result in lower taxes on the account, but this calculation can be difficult without the help of a CERTIFIED FINANCIAL PLANNER™. On the other hand, these accounts are counted as a student asset on the FAFSA, which can reduce any student aid package the minor might receive. And, be sure to plan extensively with these accounts because leftover funds cannot be transferred to another beneficiary. So where do I start developing a college saving plan? There’s a lot to consider, which is why we recommend you consult with a CERTIFIED FINANCIAL PLANNER™ who is well-versed in the Situational Investing methodology. That will create a strong foundation — built on a thorough assessment of you, your risk tolerance and your financial goals — on which we can build a college savings strategy that’s best for you and, most importantly, your children.